Kiran from production house Slash Dynamic directed Cut Golf’s first commercial. 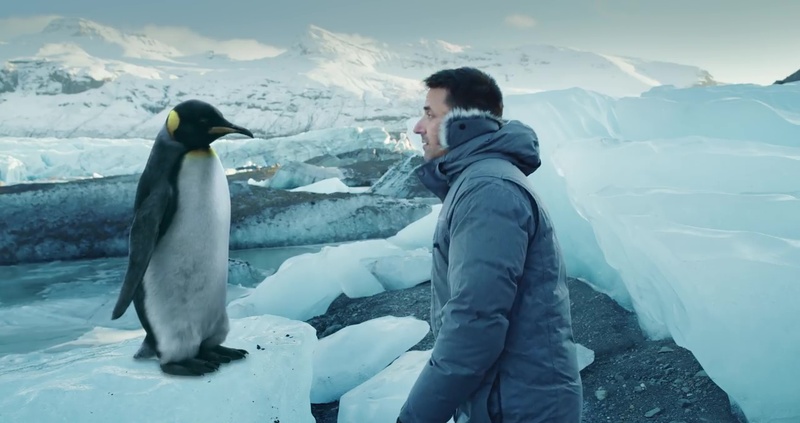 Titled “The Mix Up,” the spot features a king penguin, and debuted Super Bowl Sunday on Facebook, YouTube and Instagram. The ad tells the story of a golf enthusiast with a conscience. He scales glaciers to find the penguin who has mistaken a Cut Golf Ball for its egg and disappears. Our golfer valiantly searches for the penguin, braving the arctic weather. He eventually finds the penguin and safely returns it egg and recovers his beloved Cut Golf Ball. Cut Golf creates what it bills as being the best damn golf balls under 20 bucks. Kiran traveled to Iceland with a skeleton crew and shoestring budget. “Faced with a script I loved, a tiny budget, and a location that called for a glacier, we had to be unconventional and downright brazen to get this made,” said Kiran. “I found the perfect location while perusing Instagram, and narrowed it down to being somewhere on the southeastern coast of Iceland. So, my DP and I flew there with the actor–nervously confident of being able to get the footage we needed. We had no crew, or local support. We found the glacier using Google Maps half way through our scouting day, which was marred by a serious blizzard. We never saw the Northern Lights due to this crappy weather. Sigh! Client Cut Golf, Costa Mesa, Calif. Agency Nigel & Co. Production Slash Dynamic Kiran, director; Michael Jensen, DP. Color Pixelworkers.tv Michael Jensen, colorist. Editorial Adam Henderson, editor. VFX Arsenal Creative Mike Wynd, VFX supervisor; Chris Noellert, head of 2D. Music/Sound Shindig Music + Sound Austin Shupe, composer; Daniel Hart, sound mixer; Scott Glenn, creative director.